Here at Chairish, we bucket list flea markets the way others bucket list national parks. 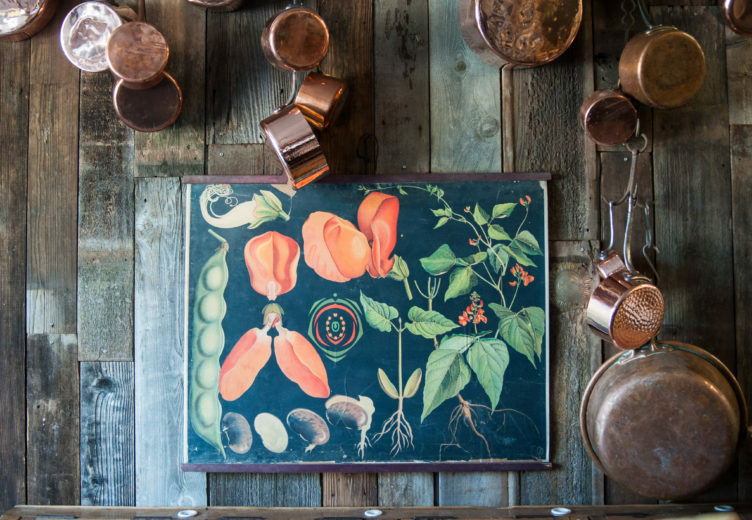 When we’re not virtual vintage shopping, we’re spending our weekends scouring fleas across the U.S. for one-of-a-kind scores, and noshing on delicious flea eats (#fleeats?) while we’re at it. 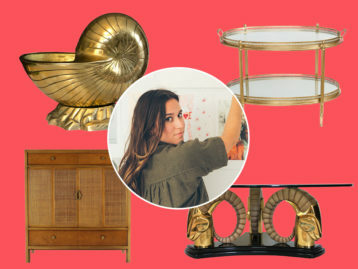 Whether you’re seeking antiques in a quaint New England setting, or original artwork and city views, check out this roundup of a few of our favorite East Coast fleas that are perfect for your next vintage haul. 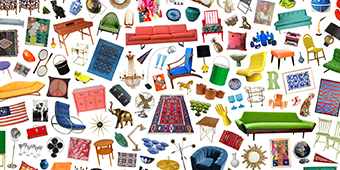 Founded in 1959, Brimfield Antique Show is known as the mother of all fleas to casual and serious collectors alike. 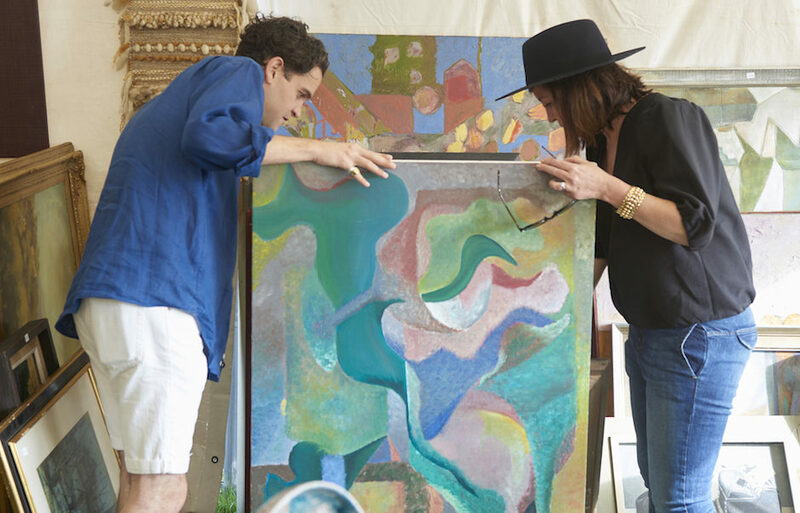 As the largest outdoor antiques show in the country, it is comprised of 20+ privately owned shows, featuring 5,000+ dealers across a series of fields in the small town of Brimfield, MA. Lucky for us, we don’t need to conquer it all at once – the show happens three times a year in May, July and September. Pro tip: stay overnight for optimal treasure hunting, and be sure to ready your haggle with freshly baked apple cider donuts in the fall. 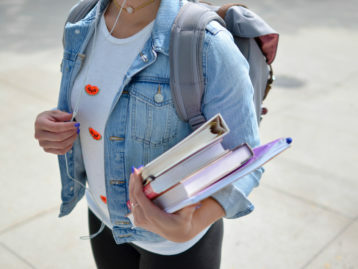 This Connecticut market has an early-bird special for the ultimate deal-seekers: $40 for entrance at 4:45am, when the near 500 vendors are setting up shop. 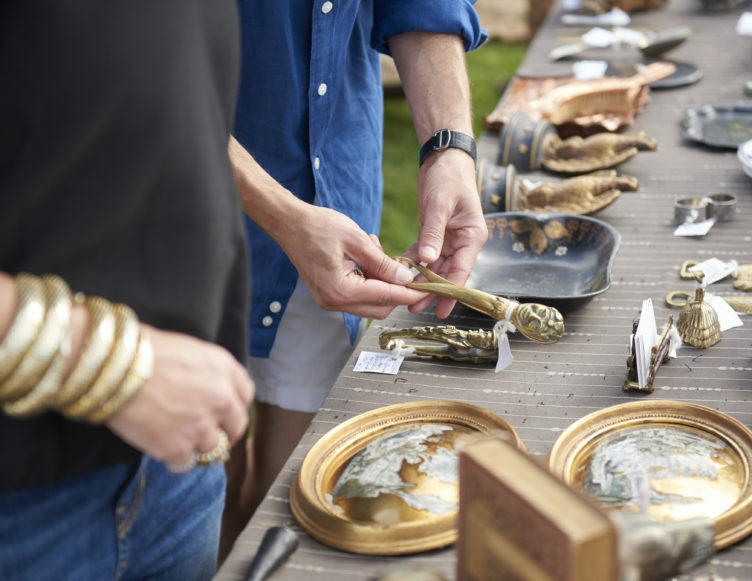 Originally created in 1976 on the lawn of a 19th century Victorian home, Elephant’s Trunk brings together collectors, food trucks and farmers for a flea experience filled with historic New England charm. Regular entrance begins at 7am for $2, every Sunday from April through mid-December. 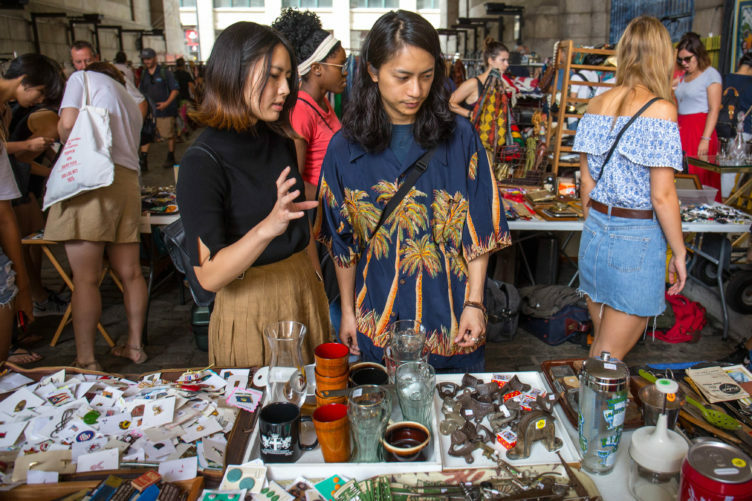 With top-notch food and urban edge, Brooklyn Flea has become a major New York attraction, taking place outdoors in DUMBO April through October, and indoors in the Atlantic Center from November through March. A curated market featuring up-and-coming artisans, food-purveyors and vintage sellers, this flea is the perfect weekend stop for both killer street food and shopping. For endless culinary options, make sure to check out Smorgasburg, a giant food market experience operated by the flea. An NYC gathering place since 1976, Chelsea Flea Market is one of the city’s last remaining fleas, and is a local designer favorite. Located on 25th Street between 6th Avenue and Broadway and open weekends at 6:30am, you’ll find about 100 vendors selling collectables, clothing and antiques, and providing a community feel, often hard to find across Manhattan’s tourist stops. Whether you’re in the market for a souvenir or your newest furniture addition, it’s worth a stop and just a quick stroll from Madison Square Park. More of a modern maker’s fair than a flea market per se, Field + Supply is modeled after design pro and founder Brad Ford’s hometown arts and crafts fairs in Arkansas. With the perfect mix of high and low, the event brings together a selection of vendors offering new, one-of-a-kind, and vintage goods from a variety of studios and workshops. 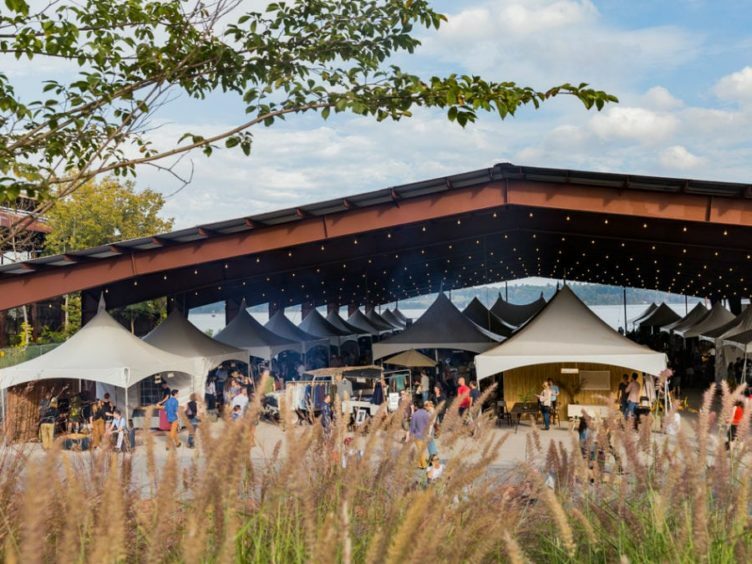 We love the way Field + Supply pairs incredible design with casual atmosphere – featuring fire pits, farm stands, game zones, local brews, and even riverfront glamping – all set with a gorgeous Hudson Valley backdrop. The largest market in the DC area, Georgetown Flea offers an array of antiques and handmade art and jewelry, along with a large collection of vintage clothing. Founded in 1972, it has a history of political and celebrity visitors, and even today, draws a diverse crowd on Sunday mornings. Fun fact: local resident and bookstore owner Larry McMurtry based his novel, Cadillac Jack (1982) on this popular market. Known as “Antiques Capital USA,” Lancaster County, PA is filled with dozens of antique shops – like designer favorite, The Cackleberry Farm Antique Mall. 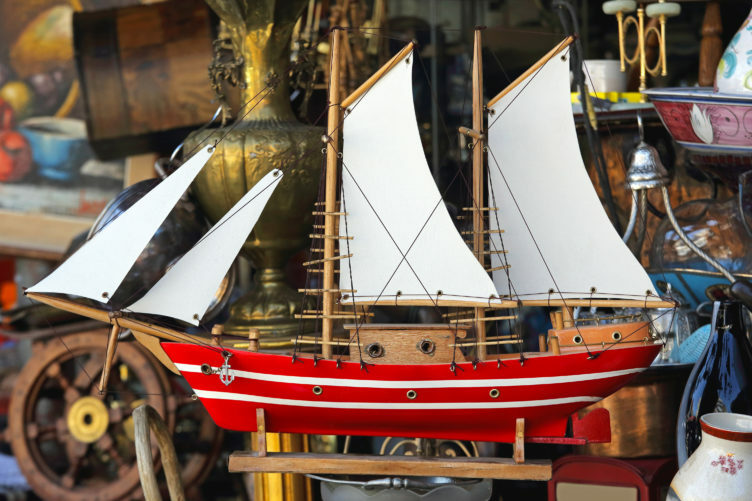 Three times a year in April, June, and September, the city of Adamstown takes things up a notch with Antiques Extravaganza, showcasing more dealers, outdoor markets, and longer shop hours. 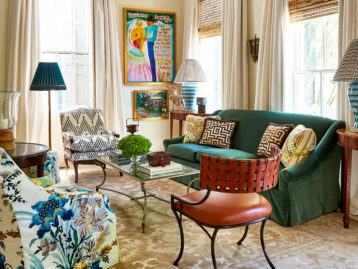 Book your B&B in advance for this ultimate thrifting experience. Inspired by the Brooklyn Flea, the Providence Flea brings together vintage-loving vendors and the local maker community. Created to empower Providence’s small businesses, you’ll find handcrafted small-batch goods, live music on the boardwalk, food trucks, and more. 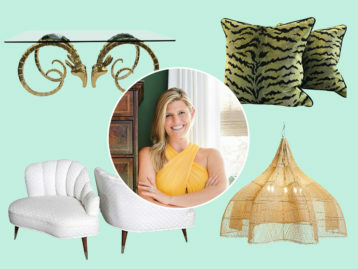 Sleepy Poet is a go-to indoor destination for both locals and designers passing through Charlotte and Downtown Gastonia, NC. With its flagship space measuring over 60,000 sq ft, it’s easy to spend a lazy Sunday getting lost in aisles filled with vintage and antique items. Thankfully, maps and carts are provided. Cheshire Cat Gallery is an antique mall with endless scores and a diverse group of vendors, located in Raleigh’s Cameron Village. 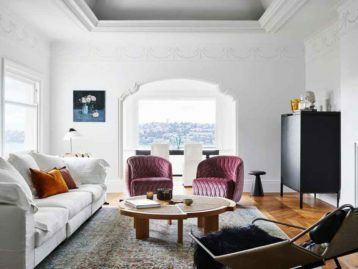 Above this spot, you’ll find Antiques Emporium, a designer favorite for sterling silver, fine china, and vintage jewelry. Lead photo by Kyle Knodell.